FearCon 2017 - from October 20th until 22nd 2017 you have the unique opportunity to meet your favourite stars from horror movies and TV series at the Maritim Hotel Bonn. FearCon stands for three days with all the stars, autographs, photo sessions, lectures, workshops, like-minded people, fans in costumes, activities, parties, merchandise and more – four fabulous days of incredible fun. Do not miss the show! Get your ticket in our ticket shop today and register for our newsletter so you do not miss out on all the star guest announcements in the following weeks and months. We are all working hard to announce new guests for FearCon 2017 as soon as possible. 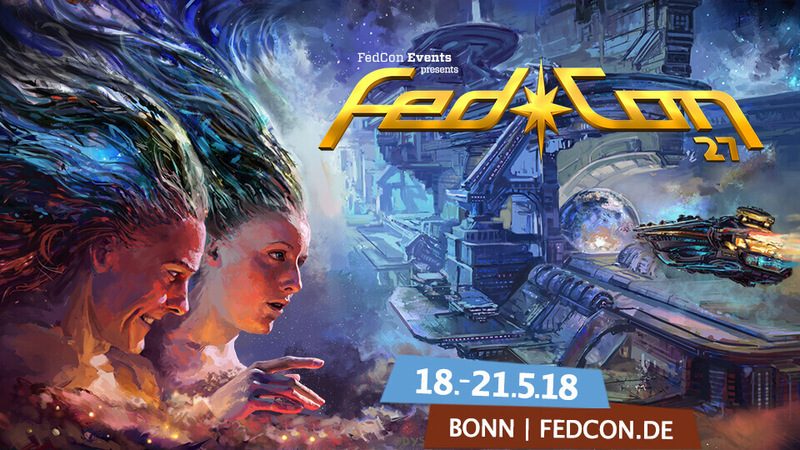 FedCon is certainly a hightlight for science fiction fans. Get enchanted and immerse into the universes of Star Trek, Battlestar Galactica, Star Wars, Stargate and Doctor Who among others. Meet your science fiction stars – this is the motto. The scifi-convention will be held from May 18nd to 21st 2018 at the Maritim Hotel Bonn. Meanwhile the 27th time. 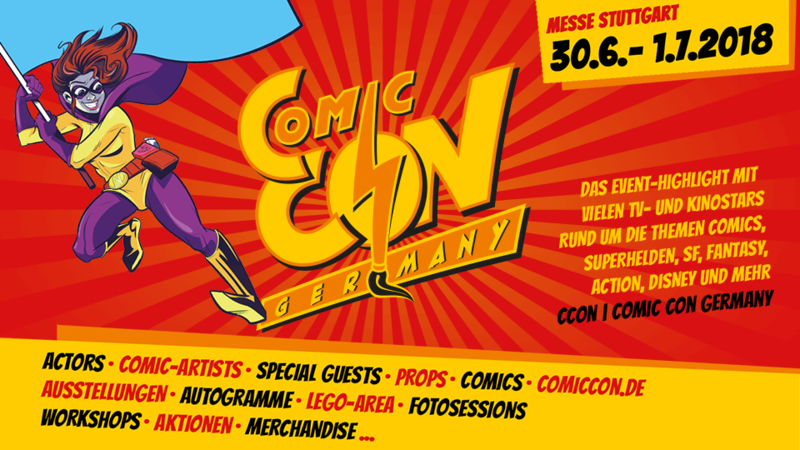 Our very first Comic Con Germany with 50.000 visitors in 2016 was a huge success. But 2017 we will push even further. You will find comic artist and much more. From July 1st till 2nd 2017 you can buy autographs from our Hollywood actors, listen to them on stage or get your photo taken with them in our photo studio. Our first MagicCon stood the fourteen years RingCon and four years HobbitCon in nothing. But on the contrary. It was worthwhile to put something new on both of them. 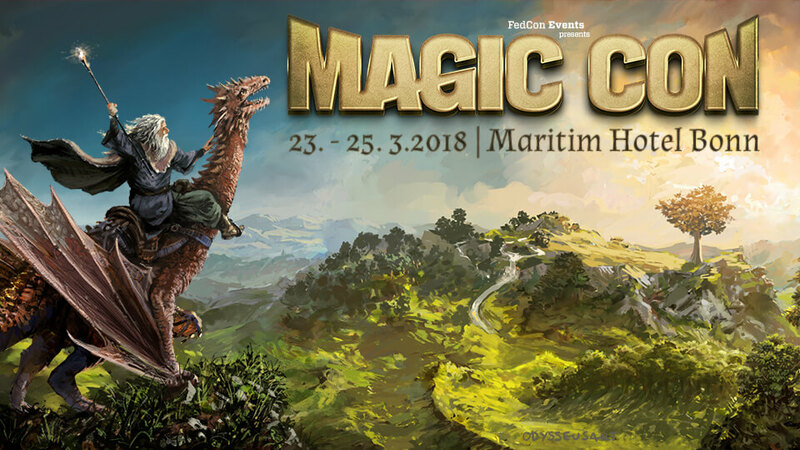 And so in 2018 there is also a MagicCon. Pack your garments and cosplays and become part of our fantastic world. Meet your fantasy and mystery stars – under this motto, the MagicCon 2 will take place from 23 to 25 March 2018 in the Maritim Hotel Bonn.